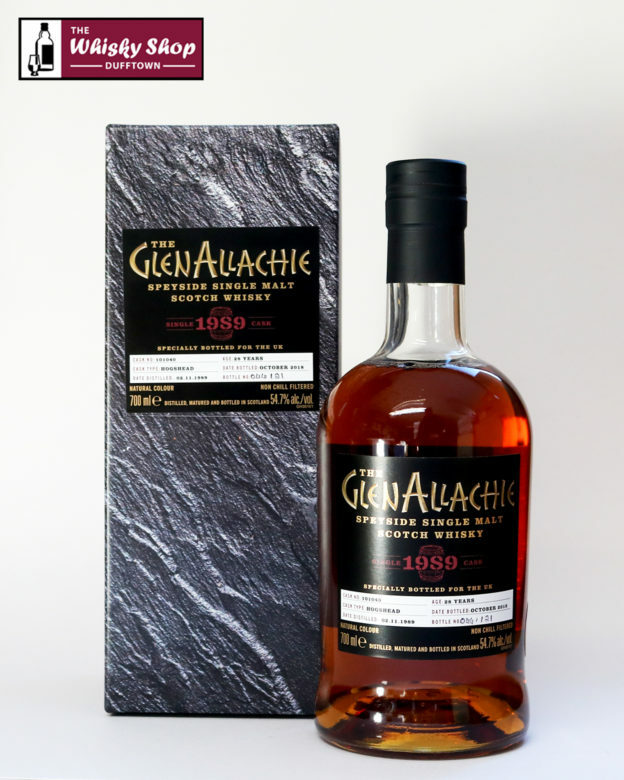 This GlenAllachie was distilled on 2 November 1989 and bottled in October 2018 from a Hogshead which produced 121 bottles. Distillery: Pineapples, bananas, heather honey and dark chocolate. Distillery: Lashings of bananas, dates, damsons, heather, honey with cinnamon and dark chocolate.